A qualified and registered “competent person” must prepare and submit all building plans to council. 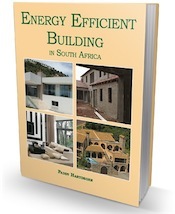 When South Africa’s National Building Regulations were updated in 2008, several new definitions were added to the legislation, and some were rewritten. One of the most important changes was to the term competent person, because a “competent person” is now required to draw up plans and submit them to the local authority. In the past, an owner builder could do this without the mandatory assistance of an architect or designer, simply because the concept of competency, and more specifically the definition of “competent person” was vague in the extreme. Previously the building regulations stated that: “‘competent person’ means a person who is qualified by virtue of his experience and training.” So if you knew how to draw plans, and followed the rules set out in Part A: Administration in the regs (as well as any additional requirements laid down by your local municipality), you could go the full DIY route. In fact, when we first wrote The Complete Book of Owner-Building in South Africa, in 1992, having just owner built our own home (with the help of a qualified draughtsman), we got to know the head of planning at the Western Cape Regional Services Council, and had a few laughs about the standard of plans submitted by some people. On one occasion, he told us, somebody had submitted hand drawn plans on notepaper. I don’t know the ins and outs, or what changes were demanded by council, but the house was built without the owner having to employ any type of professional to help him with the shoddy plans. At the time, an owner builder who claimed to have the required “experience” could often “walk” the plans through council to hurry the process up. Not any more. It also states that a competent person “shall prepare and submit to the local authority a rational design or rational assessment where compliance” of the regulations is satisfied. Furthermore, this person (be it an architect, a designer, draughtsman, engineer or architectural technologist) is required to inspect the building and certify (once it has been completed) that it has been constructed, erected or installed as specified on the approved plans. In spite of the vagueness of the old legislation, the authorities have always considered it necessary for qualified people to design houses and draw up plans. Previously the law stated that a person performing such function was required to be registered as an architect OR to have “a specified qualification, certificate, status or other attribute or to have had experience or training of a specified nature or for a specified period”. It is clear that this was a loophole, which is why A1 now states that the “designing, planning and the supervision of the erection of any building or structure” must be a qualified professional, namely someone who has a qualification in terms of the laws listed above, or the Professional and Technical Surveyors’ Act, 1984. Historically South Africa has a record of appallingly shoddy workmanship in the construction industry, with fly-by-night operators building structures that simply didn’t stand the test of time. So it stands to reason that professionals should take control of the industry. If an owner builder wants to take full control of a project, the very least they will have to do is appoint and retain the services of somebody who is registered in a professional category of registration in terms of one of the councils for the professions identified in the Council for the Built Environment Act, 2000. Even if an owner builder is able to draw his or own plans according to the requirements of the Building Regulations (but isn’t a “competent person” in terms of the Act), the professional they “employ” will need to submit the plans to the local authority and make a declaration that specifies the complexity of the project (low, medium or high), specifies site sensitivity in environmental or heritage terms (low, medium or high), and state in a precise manner how the functional regulations will be satisfied. When preparing a Fire Protection Plan, a competent individual is required. Would this strictly mean ONLY CIVIL ENGINEERS or could an architect with experience also tick that box? So the person who prepares the plan must a) be registered and b) have sufficient experience to do the job. He/she will need to be approved by the local authority. Question: I’m a Certified AutoCad draftsmen (From 2013), but the municipality told me that i must be registered at SACAP, do i need to be a architect to draw house plans? Or is their a other way? Many people ask me if i can draw house plans for them but told them i’m not registered. Hi, Draugtsmen can register with SACAP. There are several categories of registration ranging from Professional architect, technologist, and draughtsman. The level of your registration determines the complexity of the projects you can submit. Correct. For instance some projects require an engineer specifically.